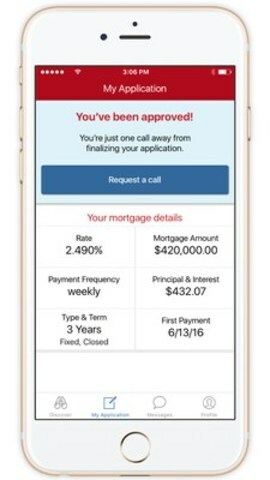 TORONTO, May 17, 2016 /CNW/ - A first in the Canadian market, CIBC (TSX: CM) (NYSE: CM) today introduced a stand-alone app that allows you to apply for, negotiate and receive approval for a mortgage with just a few taps of a smartphone – all with the dedicated support of a Mortgage Specialist via in-app messaging. Developed at Live Labs, CIBC's technology & innovation hub at MaRS Discovery District in Toronto, CIBC Hello Home™ offers new levels of convenience and flexibility for accessing mortgage services. "CIBC is at the forefront of developing and implementing mobile-driven solutions that address the clear shift in how Canadians access banking services," says Aayaz Pira, Vice-President, Digital Channels, CIBC. 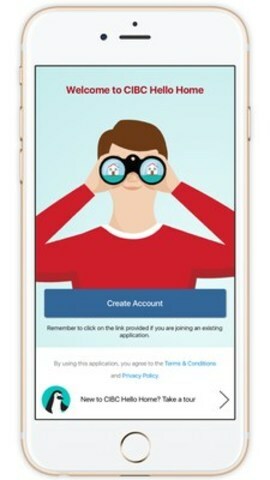 "Through our work with the country's top emerging tech talent at CIBC Live Labs we will continue to develop products and services that meet clients' growing digital expectations." "With CIBC Hello Home and our expanded CIBC Mobile Banking App we are introducing the next generation of smartphone apps, adding features that go beyond basic customer service to create a mobile banking experience that delivers new levels of simplicity and convenience for our clients," says Mr. Pira. Scott McGillivray, host of HGTV's Income Property, is teaming up with CIBC to offer a glimpse of what's happening at the CIBC Live Labs and to learn more about the Hello Home app. Facebook Live with Scott McGillivray takes place on May 31 at 7 PM. CIBC Hello Home™ is a free download available currently available from the App Store for iPhone 4s and up and requires an iOS 8 and up operating system.